Reviews of Fast Forward Academy EA Review No ratings yet. Have you ever used Fast Forward Academy EA Review? Whether you prepared for the EA exam with the Fast Forward Academy EA Smart Bundle or EA Online Course or simply supplemented with the Enrolled Agent Study Guide, your fellow EA candidates and I would love to find out what you think about Fast Forward. Please leave a review that explains your experience with Fast Forward and whether or not you would recommend it. Why did you choose to study with Fast Forward Academy EA Review? What was your favorite part about Fast Forward Academy EA Review? What was your least favorite part about Fast Forward Academy EA Review? Do you believe Fast Forward Academy effectively prepared you for the EA exam? Would you recommend Fast Forward Academy EA Review to a friend? Why or why not? Thank you for your feedback on Fast Forward Academy! 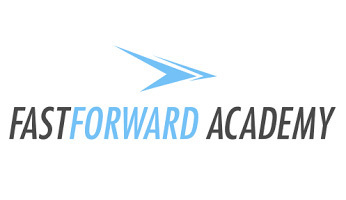 Want to learn more about Fast Forward Academy EA Review? Ready to buy a Fast Forward Academy EA Review course? I’m currently using Fast Forward & love it! Take my first test on Monday. I used their materials to pass the exams two years ago and loved them.